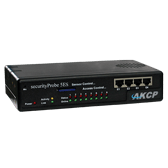 AKCP North American Authorized Distributor Netmon Inc.
Netmon Inc. is the authorized distributor for AKCP monitoring systems and sensors for data centers and IT service management teams in the U.S.A. and Canada. Using our years of experience AKCP monitoring products we can help your team design environmental monitoring systems that will meet to your exact project needs. All sensorProbe and securityProbe platforms support the use of automated sensor alerts and monitoring for a variety of environmental, power and security applications. Choosing the right platform for your needs will depend on if you need basic monitoring and alerting, or more advanced sensors, protocols, and security monitoring. To help you choose the right platform for your needs, please review the platform comparisons below, or contact us about your project needs to request a quote. All sensorProbe and securityProbe platforms support the use of automated sensor alerts and monitoring. Choosing the right platform for your needs will depend on if you need basic monitoring and alerting, or more advanced sensors, protocols, and security monitoring. Affordable line of monitors for environmental monitoring. Modular base units designed to your specifications. Combined environmental and security monitoring / access control in one. 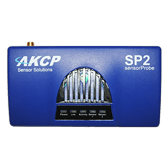 To view a detailed side-by-side comparison of the features of AKCP's sensorProbe, sensorProbe+ and securityProbe base units, click the link below.